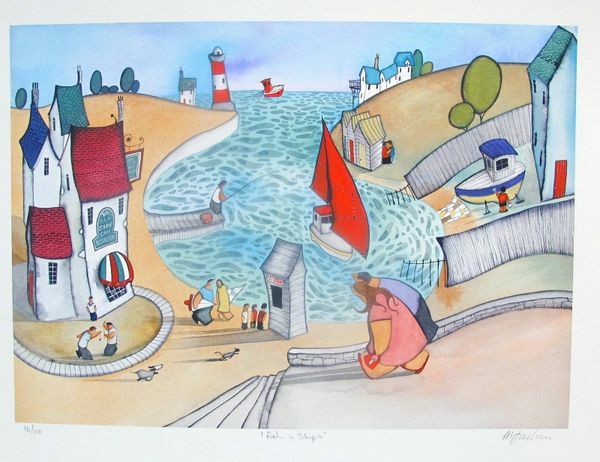 This is a limited edition hand signed giclee by Mike Jackson titled “Fish ‘n Ships”. 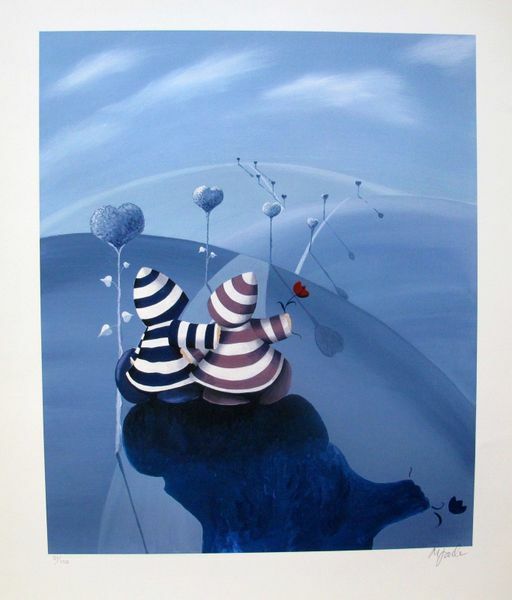 This is a limited edition hand signed serigraph by Mike Jackson titled “Lovers Lane”. This is a hand signed original drawing by Mike Jackson titled “Overpacked”.